Benevenia’s process of making sculpture frequently becomes a balanced scuffle with gravity. Playing with material frailties and strengths allows him to transform inactive piles of material into metaphors for the importance of aiding others. He is interested in using the physicality of sculpture to facilitate conversations where empathy and support can develop solidarity. Benevenia completed his BFA in visual arts and art history at Rutgers University. Afterwards he became certified in structural plate welding at Hohokus School of Technical Trades and Services in Paterson, NJ. Benevenia began working as a sculpture technician at the Sculpture Foundation’s Johnson Atelier; and was then promoted to supervisor of the monumental fabrication department. Benevenia left The Sculpture Foundation to obtain his MFA in sculpture at Maryland Institute College of Art’s Rinehart School of Sculpture, focusing his thesis on work inspired by research on American Civil War medicine. Michael then moved to Lancaster, PA, where he currently works for Millersville University as the Department of Art & Design’s studio technician and as an adjunct instructor. In 2016, Benevenia had a solo exhibition "Gravity and other fistfights" at Gallery Aferro in Newark, NJ, and has recently been in two-person exhibitions at Montgomery College in Silver Spring, MD, and Harford Community College in Belair, MD. He has exhibited in group exhibitions at the Charles Sumner School Museum, The Delaware Contemporary, The Grounds for Sculpture, The Spartanburg Art Museum, and The Arnot Art Museum. Michael was a Sculpture Space Artist in Residence in the fall of 2017 and presented his work to the 2017 National Museum of Civil War Medicine's annual conference. He will be the first Artist in Residence for the National Museum of Civil War Medicine in Frederick, MD in 2018-19. He has continued to make artwork inspired by history that explores support structures and potential for empathy. 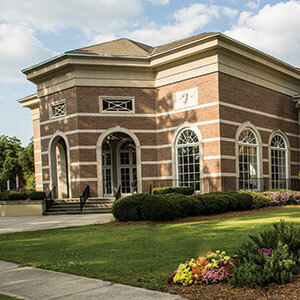 The Cecelia Coker Bell Gallery is located in the Gladys C. Fort Art Building on the Coker College campus, in Hartsville, S.C. Gallery hours are Monday, Wednesday, Friday, 10 a.m. to 4 p.m., Tuesday, Thursday, 10 a.m. to 8 p.m. while classes are in session.